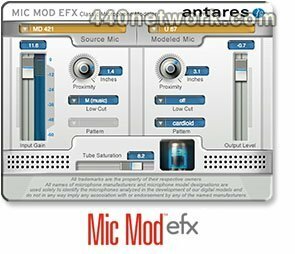 Mic Mod EFX is a modern incarnation of Antares' Microphone Modeler plug-in introduced in 2000. 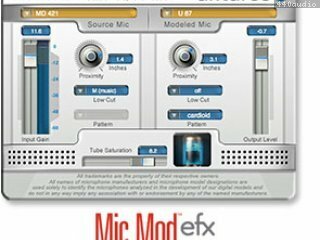 With over 125 microphones models included in Mic Mod EFX, you can afford to record each track through a model of the specific mic that will best produce that ideal sound you're looking for. Or use it in live performance to get the sound of mics you'd never consider using on stage. You can even use it during mixdown to effectively change the mic on an already recorded track.